Petbarn is part of Greencross Limited, Australasia’s largest integrated consumer facing pet care company. Greencross owns over 130 veterinary practices and over 200 pet specialty stores. 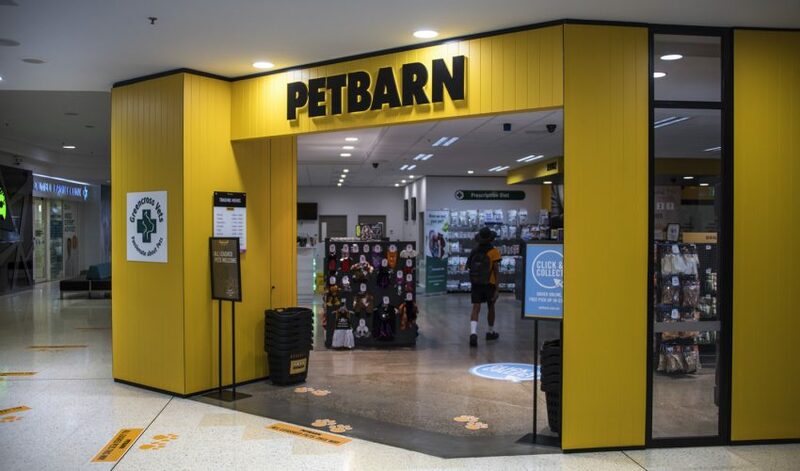 Active in the Australian market for 35+ years, Petbarn currently operates 140 stores nationwide. 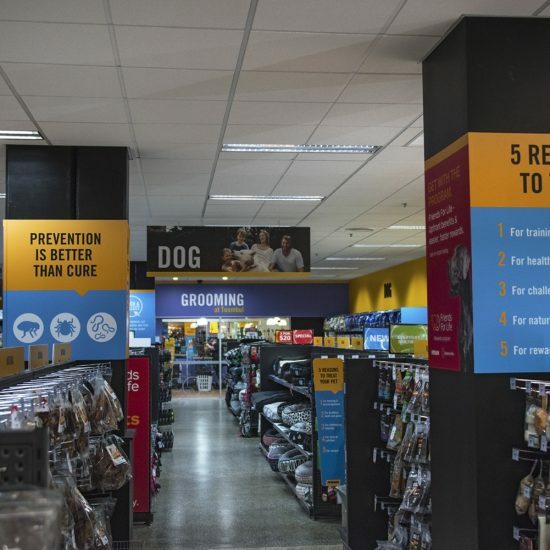 As Petbarns trusted signage partner, the CV Media & Signage team has supported the rebrand roll out and the transition in market repositioning arising from the merger of Greencross, Petbarn and Animates. 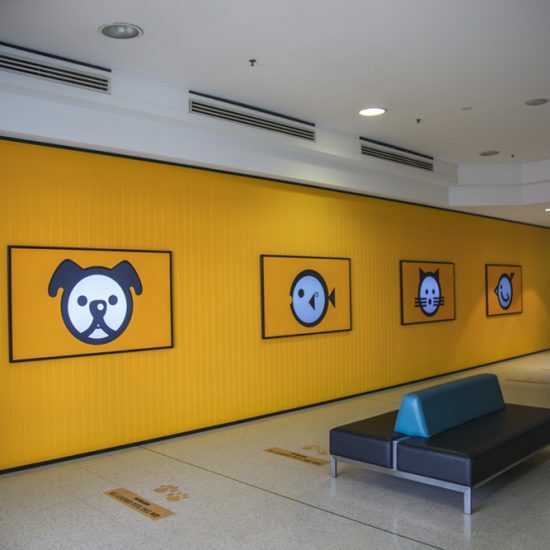 The team has delivered complete visual solutions for over 50 new and existing Petbarn stores in Australia and over 50 Animates stores in New Zealand. From concept through to completion, the teams have worked closely to deliver diverse internal store products and external signage to align with their new direction. The building and fascia signage used in the Petbarn stores is large scale fabrication with differing products including print, pylons, illuminated and fabricated lettering. The internal works include a diverse variety of promotional and wayfinding signage to ensure ease throughout the customer experience. The team also delivered wall prints, gondola toppers, shelf banners, hanging banners and acrylic lettering. Recently, the Petbarn brand has further evolved their visual store identity with the integration of digital. The new Toombul store has implemented custom designed logo elements with fabricated static casing on four 72” screens. The digital screens bring the animals within the logo to life, creating a fun and engaging design element for their store. This is the first move for the brand in bringing together physical and digital elements for customer experience. CV Media & Signage is proud to have a longstanding relationship with Greencross Limited and Petbarn as the brand continues to grow. Petbarn — CV Media & Signage from CV Media & Signage on Vimeo.